Here in Kitsap County, we’ll hear a lot about Low Impact Development over the coming years due to new regulations that will affect construction, including residential construction projects. If you’re planning to build a new home, you’ll want to know what these regulations are. Captured water goes back into the groundwater supply after being filtered. Photo courtesy SvR Design Company. Since Kitsap County receives 80 percent of its drinking water from its groundwater supply, it’s critical that our water table is protected and preserved. Now that the economy has bounced back, we’re seeing a lot of development happening in Kitsap County. What typically occurs with new development is that native soils and vegetation, along with bird and wildlife habitats, are replaced by impervious asphalt and concrete surfaces. Just think of the wetland area that’s now home to the new Safeway in Poulsbo. Or the vegetation that was cleared for the new shopping center currently under construction in Silverdale at Greaves Way and Highway 3. Permeable paving is an environmentally responsible alternative to concrete and asphalt surfaces. 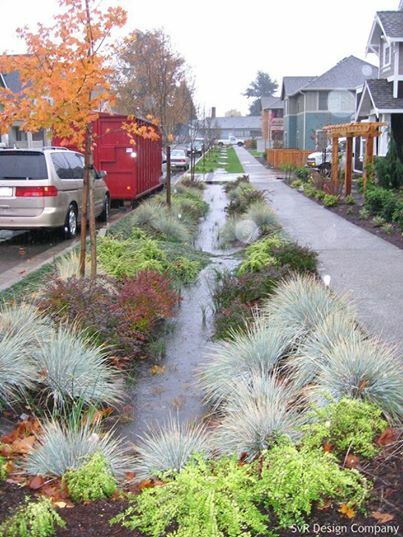 Asphalt and concrete surfaces result in stormwater runoff which now must be managed through design practices that reduce, treat, and infiltrate runoff through bioretention swales. 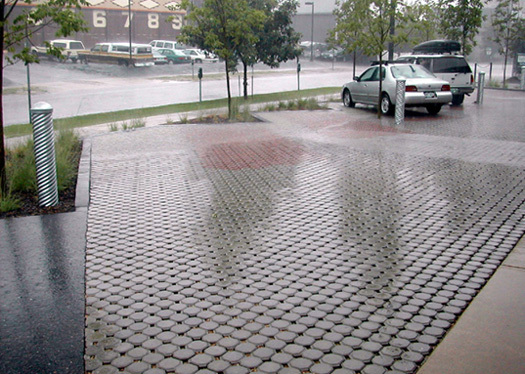 Permeable paving is another major category of LID and it’s pretty remarkable to see how effective it can be. You can see it for yourself at the YMCA in Silverdale. The entire parking lot there consists of permeable paving. Statewide Washington LID Training Programs have begun this year, and Colby is currently enrolled in WSU’s LID Technical Workshop Series and will be certified by the end of 2014. The goal of these workshops is to give designers and builders the technical education necessary to properly design, construct and maintain LID facilities. We’re incredibly excited that Colby is growing his knowledge about Low Impact Development and that we as a company are keeping abreast with the latest changes in construction regulation happening here in Kitsap County. Ultimately, these measures are in place to protect our water and natural habitats by developing new areas in an environmentally responsible manner. Water is an incredibly important resource to us, our fish and wildlife, and future generations, and now is the time to protect it. To learn more about Low Impact Development, click here.